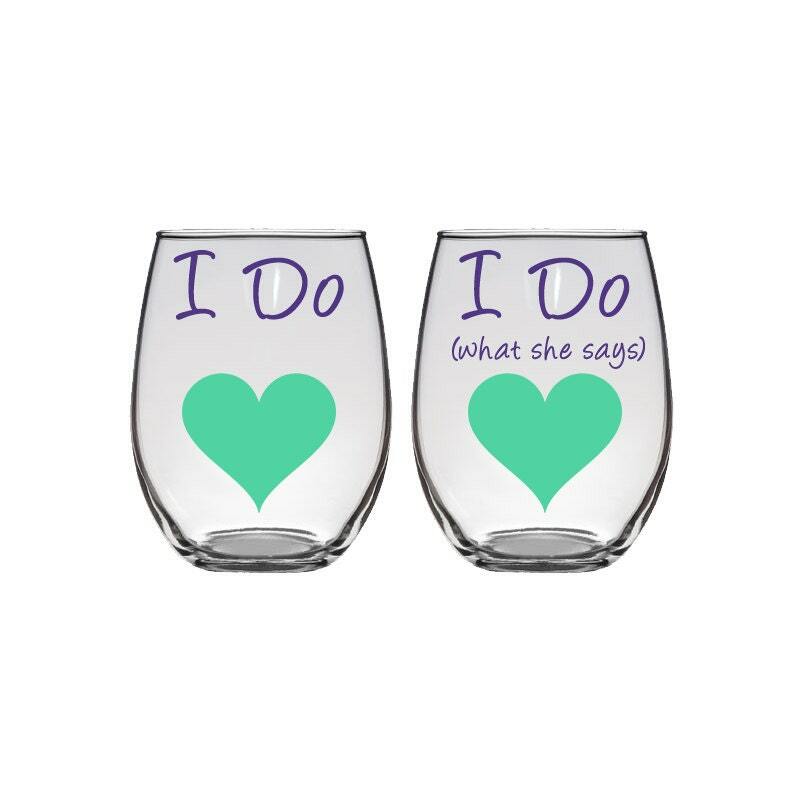 Cute and funny stemless wine glass pair for the bride and groom to be! 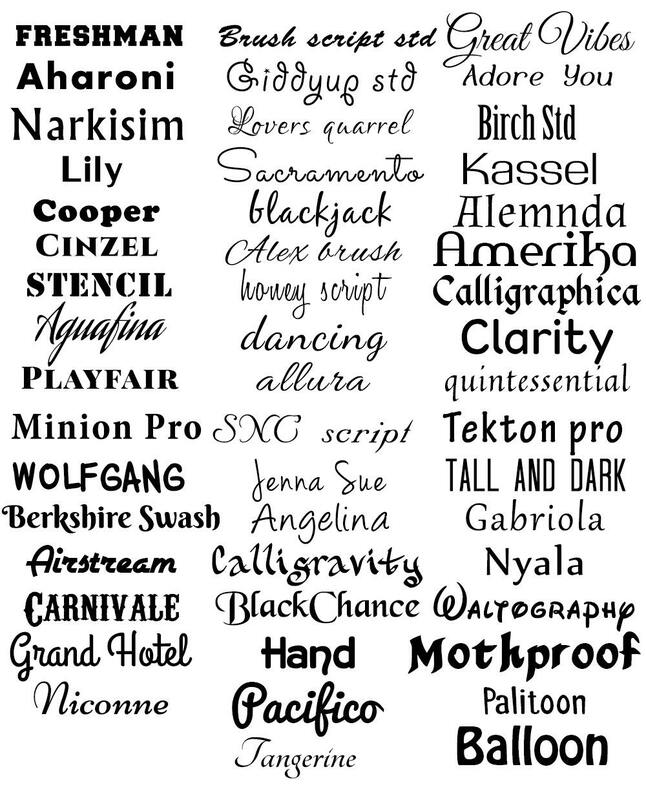 Personalization includes choosing font, font color and heart color. 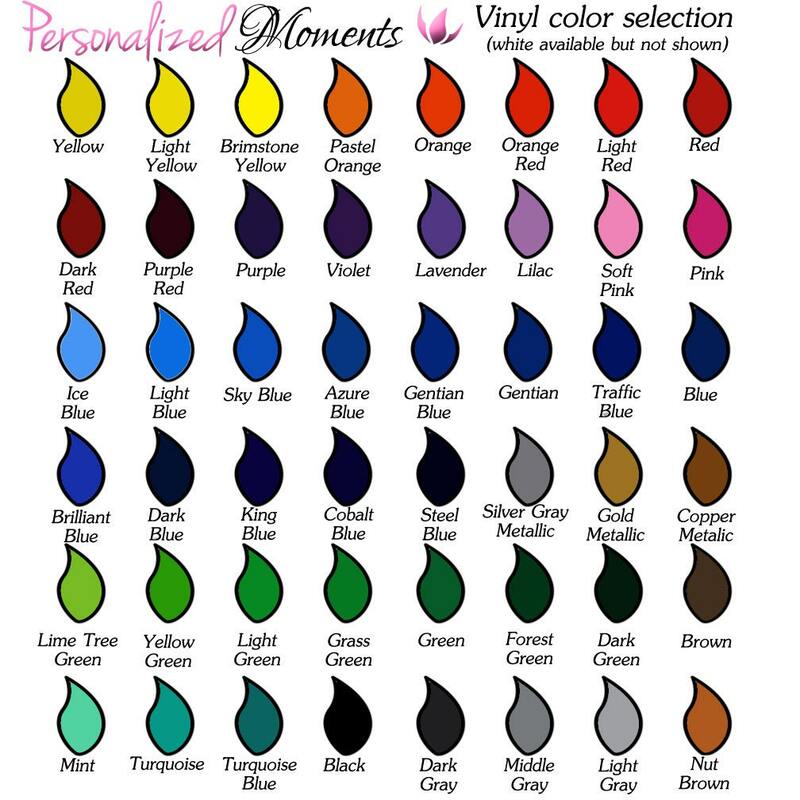 Names or dates can be added for a small additional charge- please message me BEFORE purchasing so I can set up a custom listing just for you! Personalized with high quality outdoor vinyl, made to last a long time. Hand wash only. Please include the following information in the message to seller- this box will appear upon clicking the "add to cart" button.